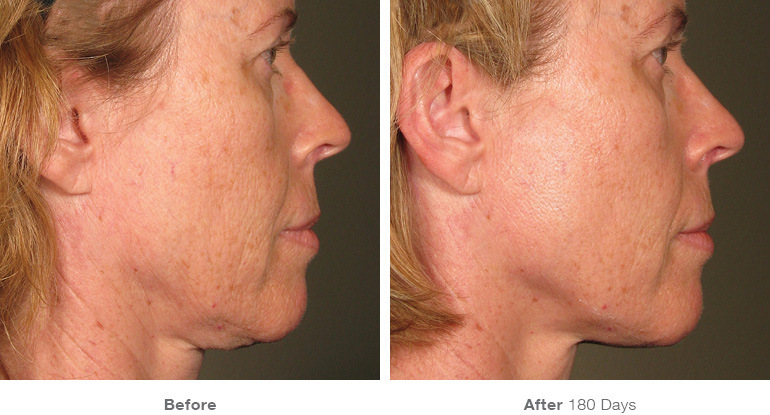 Ultherapy uses time-tested ultrasound energy to lift and tighten the skin naturally—without surgery or downtime. One of the most visible places affected by sagging skin is on your face, under your chin, your neck, and eyebrows. You may be thinking about a face lift, but you are frightened about injected chemicals or surgery. How Ultherapy can help you look years younger? Now, you have another option! It’s called Ultherapy, and it is the completely non-invasive FDA approved way to firm sagging skin and help you look years younger. 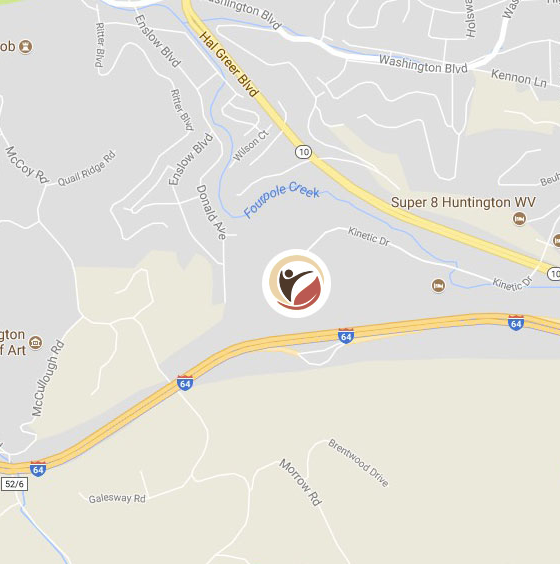 Your dermatologists at Huntington Dermatology in Huntington, West Virginia want to help you discover what Ultherapy can do for you. 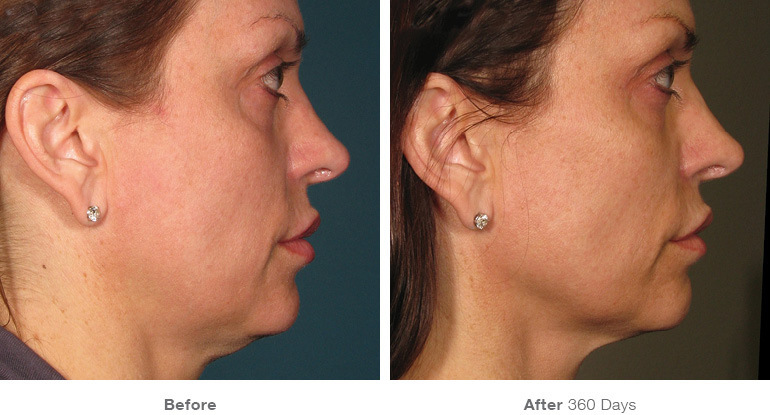 Ultherapy works by helping to build new collagen with a process called neocollagenesis. The treatment focuses ultrasound energy to trigger your body’s natural response to produce collagen. The increased collagen production gently lifts the skin under your chin, neck, brows and other areas prone to sagging. The difference in Ultherapy is that it is completely non-invasive, with no needles or injected toxins. Because it is not surgery there are no incisions and no downtime. Only Ultherapy is FDA approved to actually lift your skin. 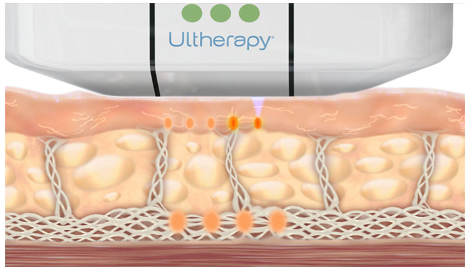 Ultherapy uses sound energy, which can penetrate deeper into the layers of your skin. Laser treatments use light energy and only treat upper skin layers. Laser therapy is also not approved by the FDA to lift skin. At Huntington Dermatology, your length of treatment will depend on the area of treatment, and most patients only require one treatment. 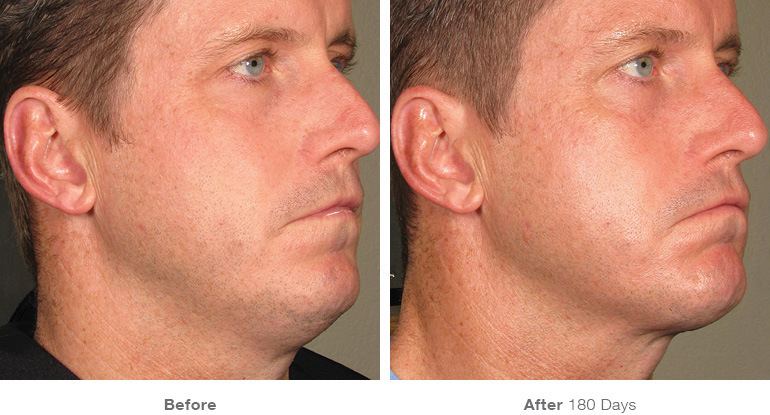 Typically a face and neck procedure will take 60 to 90 minutes, and a chest treatment will take about 30 minutes. 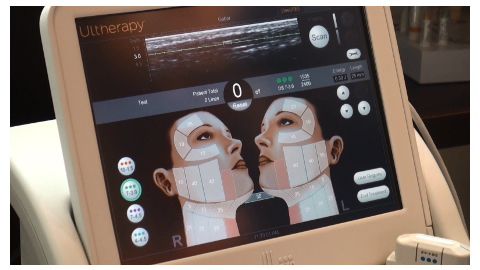 During your Ultherapy treatment, you may feel small amounts of ultrasound energy penetrating your skin. Your results will look completely natural and you should start seeing younger-looking, firmer skin within two to three months. 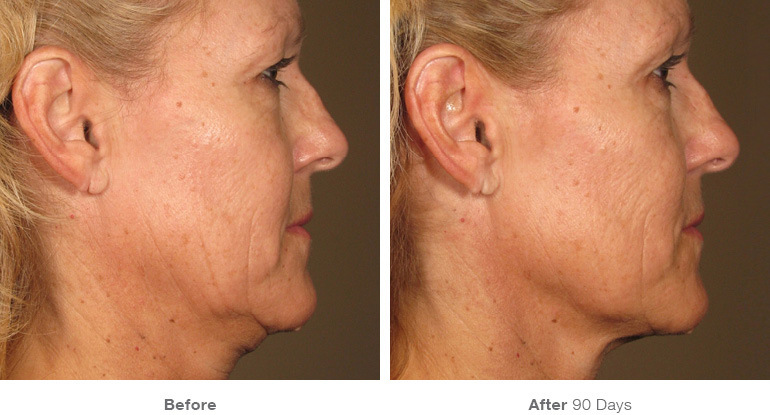 Your skin will be lifted and tightened, taking years away from your appearance. You deserve to look as young as possible for as long as you can, and Ultherapy can help by lifting, tightening and firming your skin. 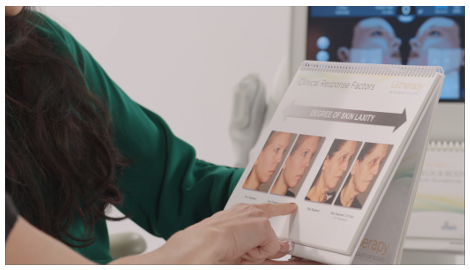 Ultrasound energy has been used in medicine for over 50 years, and Ultherapy providers like the dermatologists at Huntington Dermatology are specially trained in the procedure.